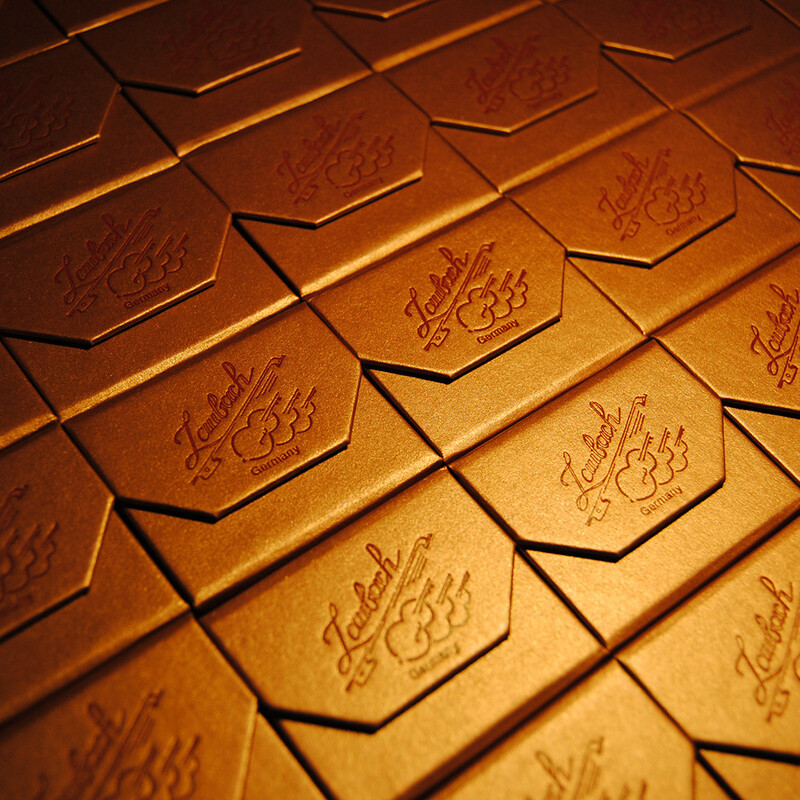 Laubach premium grade, light, gold rosin is handmade in small quantities in the violin workshop Bavaria, Germany. Gold particles embedded in the rosin provide excellent grip on the string with low amounts of dust and maximum tone quality. 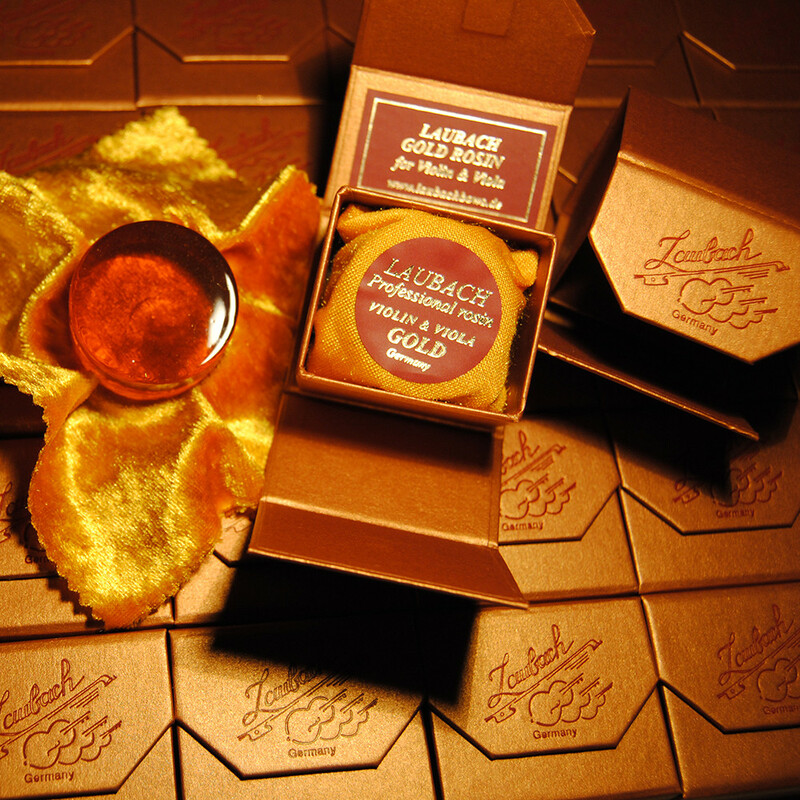 The Laubach gold rosin comes in an elegant cardboard box with a magnetic lid. The best choice for any soloist or inspiring musician - chosen by the best-renowned virtuosos. 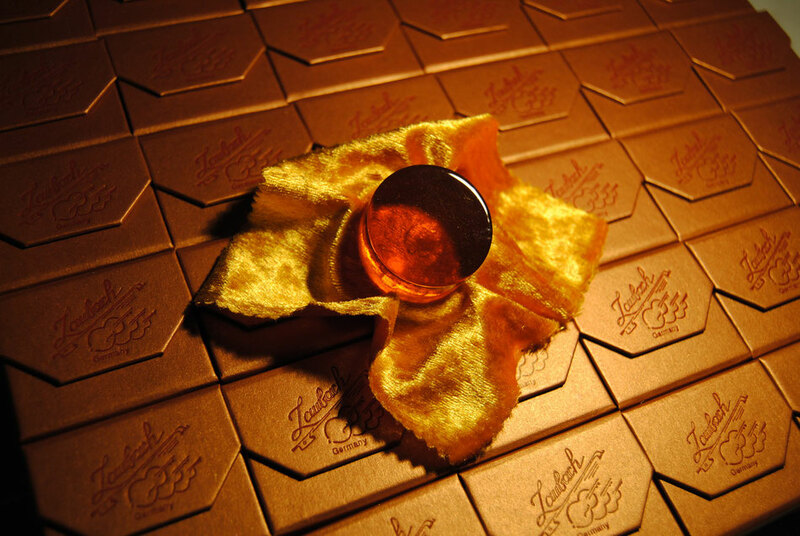 A true must-have to win any competition for use with all Violin or viola strings..
Laubach Gold Rosin, is widely acknowledged as one of the finest rosins available.Endorsed by numerous world-class string players. Laubach Gold Rosin provides greater projection and the clearest articulation for the string soloist. 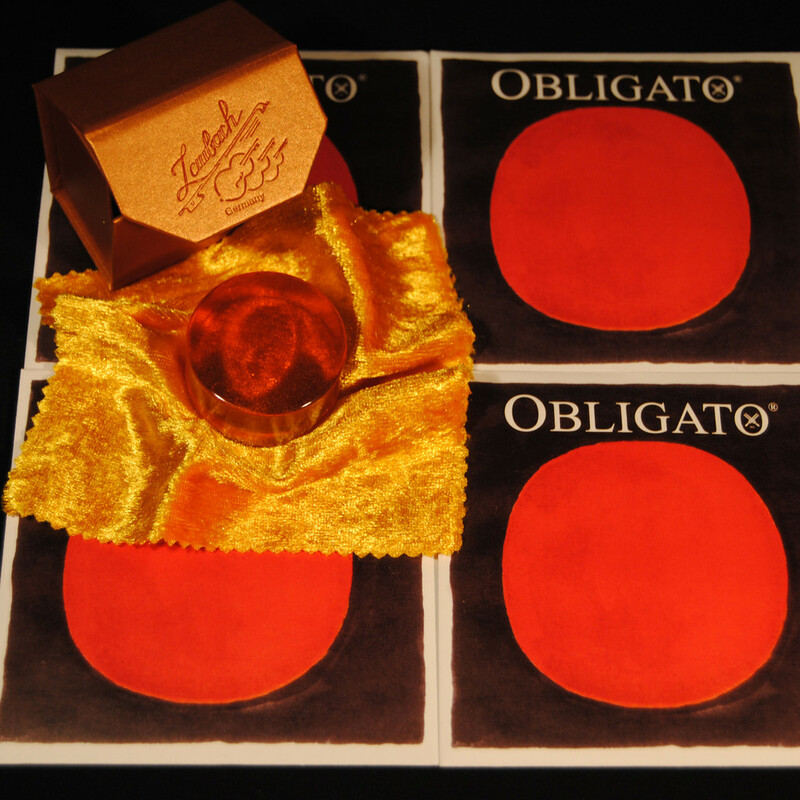 Our first-class gold rosin for violin and viola with fine 999° gold powder produces a very good grip and a warm, soft and clear sound without disruptive background noises, it brings increased resonance during the playing. It is used economically and it is immune to changes in humidity and temperature. Our Gold Rosin premium class is made by hand in small quantities in the family workshop in Bavaria, Germany. For the production of exclusive rosin which is being cast entirely by hand, we only use the highest quality natural ingredients. 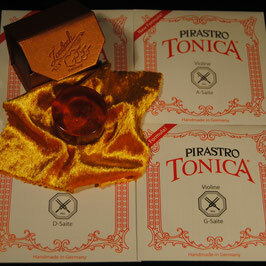 Gold particles embedded in the rosin provide excellent grip on the string with low dust and maximum tone quality. 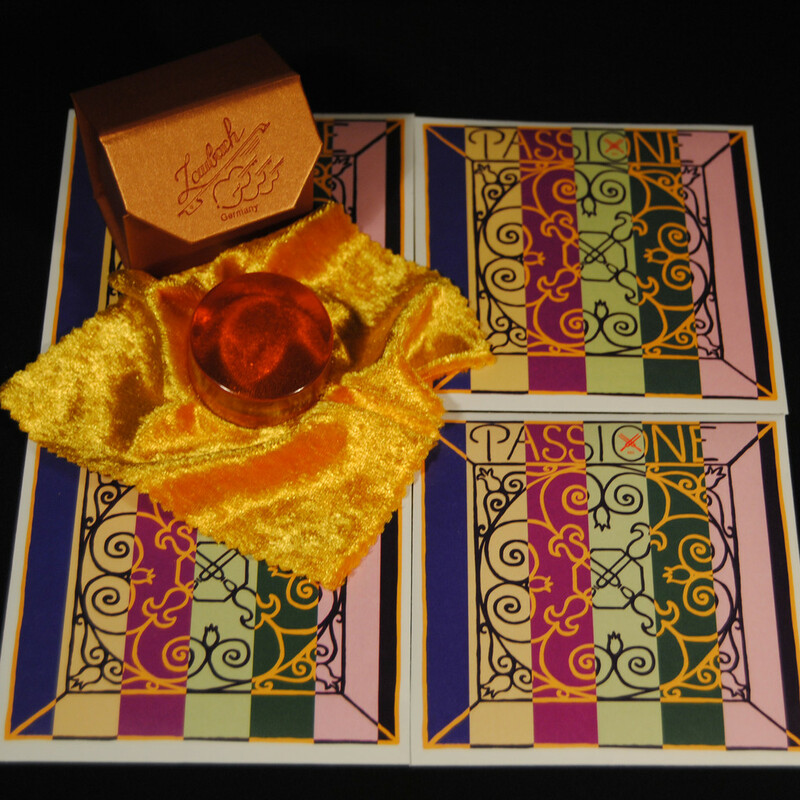 The Laubach Gold Rosin enhances the response and the feedback of the instrument during virtuoso performance. 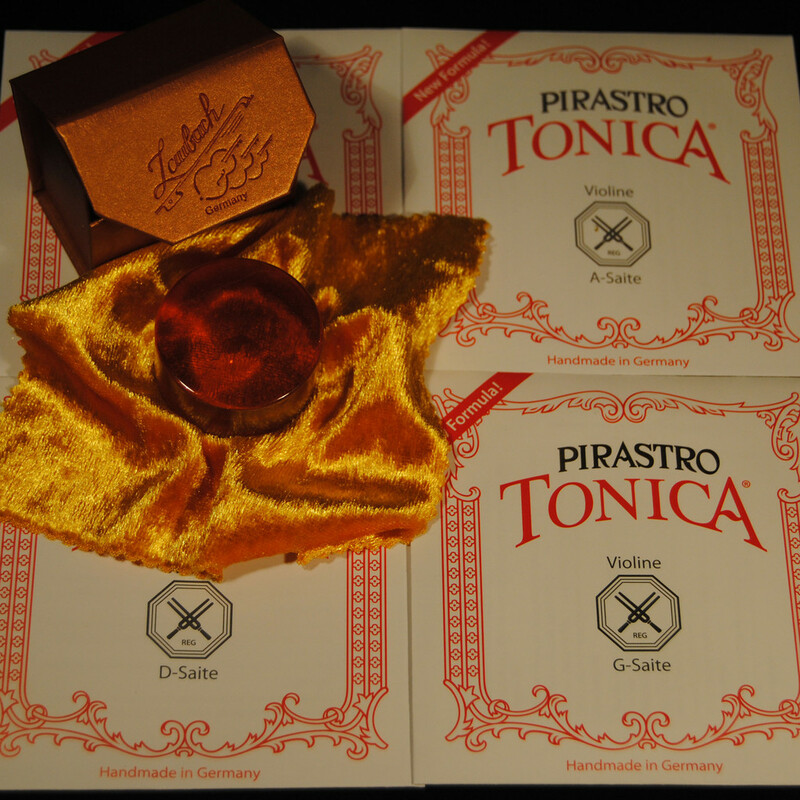 Our gold rosin is optimized for these synthetic strings: Pirastro Evah Pirazzi, Obligato, Evah Pirazzi Gold und Thomastik Dominant. It supports the tone quality, the carrying capacity and the excellent response in an ideal way. Immediately after applying, the rosin gives the bow a feel pleasantly 'silky smooth' effect on the strings. For best results, we recommend an economical application. 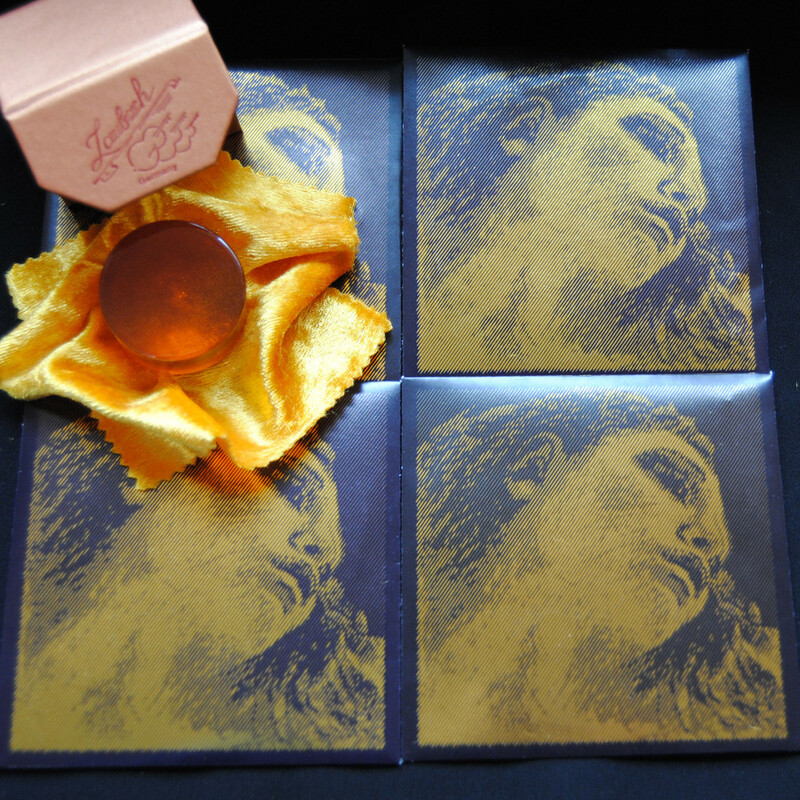 Laubach best Gold Rosin is primarily used by professionals and well known musicians. 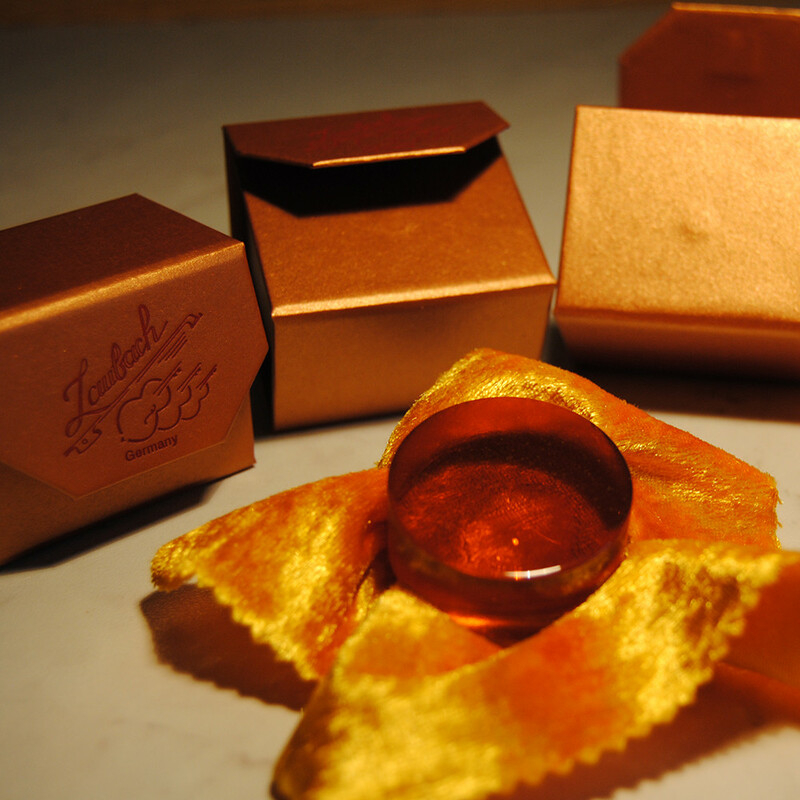 Our gold rosin comes in a golden premium strong cardboard box with a magnetic lid. COLOFONIA LAUBACH GOLD contiene partículas de oro del oro natural 999. Para músicos profesionales y estudiantes avanzados. Fabricada de resina natural de abeto y abeto que mejora sustancialmente las propiedades de la colofonia, produciendo una respuesta clara de la cuerda. eficacia a lo largo del tiempo. No corrosiva para el instrumento. Disponible para violín-viola, cello, c/bajo invierno y c/bajo verano. Hi please is possible order a combo of your gold Rosin +Evah Pirazzi gold the set w the gas G and if possible w E goldbroakat thick or some pure still e string? Pls may you send price and a link to order? thanks a lot for the honest feedback. 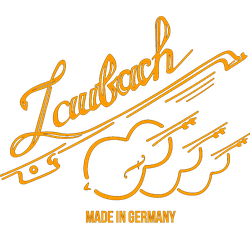 Please contact us at our email: laubachviolins@gmail.com so we can talk about further details. 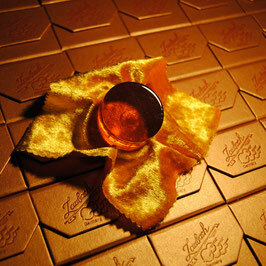 I am very glad that you are enjoying our Laubach gold rosin. After purchasing and trying out this gold rosin my cello sounds like an entirely new instrument. 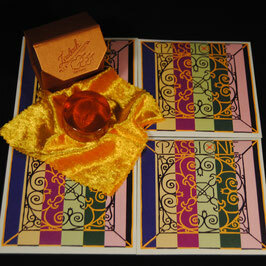 If your play level is already high you can still get a lot out of this gold rosin. The shipping was rather quick and the included gifts that came with my order are brilliant. I can’t recommend this rosin enough, regardless if you are a beginner or experienced player. Go ahead and try it out for yourself! I use Laubach gold rosin with Evah Pirazzi strings. It provides just the right amount of grip and, crucially, is much less 'sticky' than other rosins which I have tried. I'm sure that it can be used with violin strings across the Pirastro range, but I find it is particularly suited to Evah strings. j’ai découvert cette colophane en festival, elle m’a été chaudement recommandée par plusieurs colègues musiciens. Après un essai j’ai passée directement commande. J’ai essayée beaucoup de colophane (tout prix confondus) et celle ci est de loin la meilleure. La prise sonore,puissance et raisonnance sont vraiment amplifiées (sans accrocher). Je redécouvrais mon instrument. Je ne peux que recommander cette colophane de prestige qui reste étonnamment à un prix plutôt correct. Le service après vente est d’excellente qualité, très réactif et à l´ecoute. L’envoi Allemagne France fut rapide, le colis très bien préparé contenant des surprises fortes agréables ! Merci et félicitations pour votre service et produits ! As a primarily classically trained singer trained by one of the most celebrated voice pedagogues in the entire western hemisphere, I am hyper sensitive to tone, not just with brightness or darkness, but background noise, holes in the resonance, and detail in the sound that is indicative of the sound production. Since beginning learning violin just over 9 months ago, I've had a real chip on my shoulder to devise the absolute cleanest, detailed sound possible with what I have to work with. Rosin is something that has proven even more harebrained than string choice. Different popular string lines are highly innovative and have a huge following that can be heard by countless artists. Rosin is an all-too-different affair. What goes into different rosins is a complete and total mystery, and major brands very often neglect devising a truly excellent mixture. Not only that, I have become hyper-sensitive to rosin action on the thicker G string and just received a cake of Kolstein Ultra bass rosin that, when mixed sparingly with violin rosin, provides a bit of extra grip necessary to secure the lower strings. 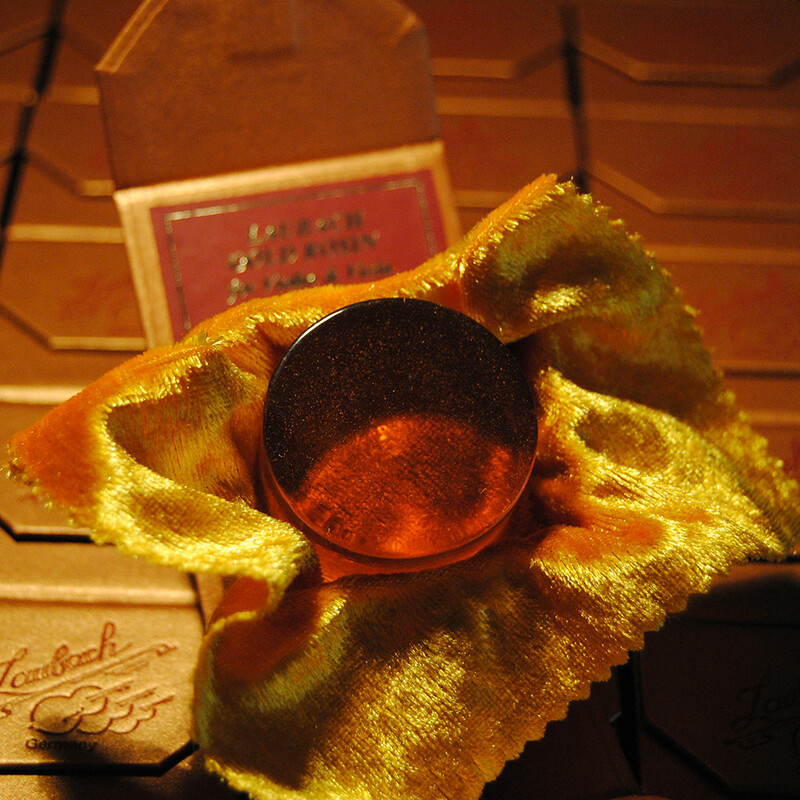 But violin rosin… A popular IG artist violinist recently posted about Laubach's gold rosin, and after reading about it, I decided I had to try some. Had to. This rosin includes authentic .999 gold in the mixture, unlike many popular “gold” rosins that were lab-tested to include virtually no gold at all. 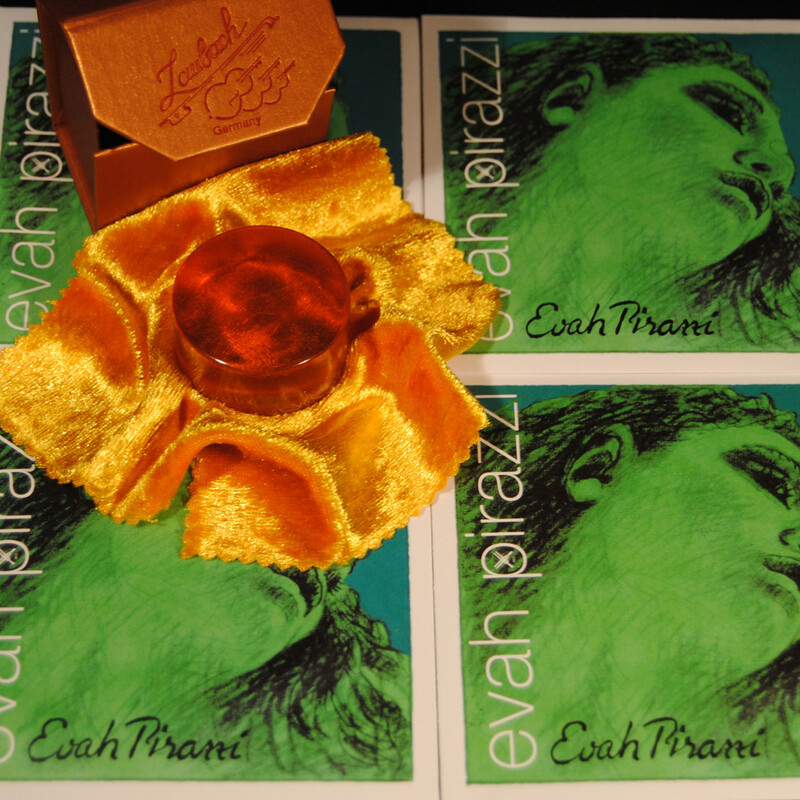 I also needed a second set of strings on deck to replace my Il Cannone strings when they wear out in a few months, so I got a package of Evah Pirazzi medium strings from them as well that was priced at a discount bundled with the rosin. All of their string orders also currently come with a spare E! Laubach, however, went above and beyond and included their cleaners, a magnetic pencil, a polishing cloth, and Mozart chocolates as a thank you for sharing my choice with all of you! It almost brought me to tears. As an American bearing witness to a daily war on the poor, war on the youth, and xenophobic war on outsiders, this type of generosity is a gem. Thank you Laubach Violins, and God bless you! Today I have recived my order. Thank you very much, all is perfect. And thank you for the presents. Just got your amazing Gold rosin and what a nice xmass surprise with all the shoko and pencil! THANK YOU and happy new year!!! Hola ya llego el paquete, muchas gracias!! I have found this to be one of the best rosins available. I have had many violinists including professionals try it and buy it. It seems to give a smoother sound and is very responsive. This stuff is the BEST ROSIN!!! My friends always want to use it and it lasts a long time!! I recommend this product to anyone.